Pain causes humans to get cranky. 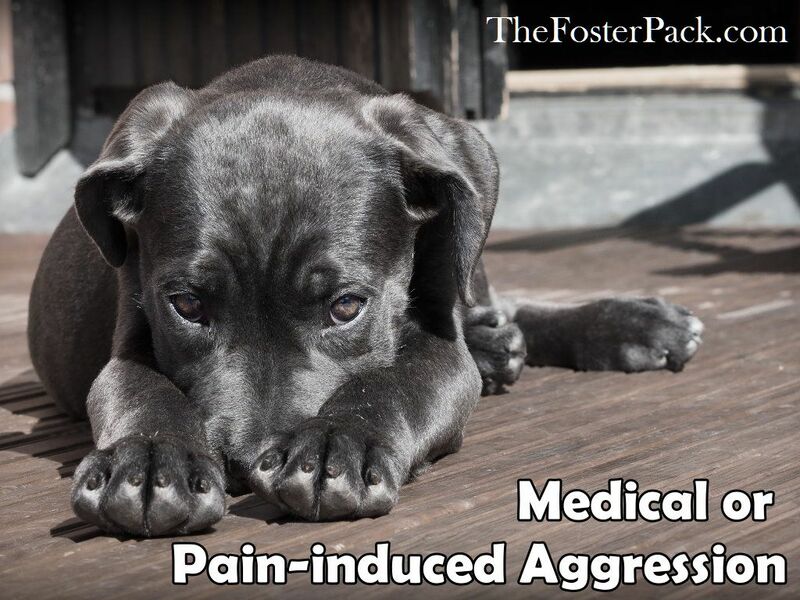 And it can cause dogs to get cranky too, showing pain-induced aggression. Even the most docile dog can show aggressive tendencies when they’re in pain. Especially if they think you might induce more pain. Which often means they snap at the hand that’s trying to take care of them. This is why people often get bit while trying to help an injured animal. It’s brought on by a dog’s natural fight or flight instincts. When a dog can’t flee, it means they fight. A dog in pain, often cannot escape, or flee. It’s also the reason cornered dogs can show aggression. If your normally agreeable dog suddenly starts snapping at you for trying to touch him, then he’s likely in some major pain. As we all know dogs try to hide their pain as much as possible. It could be from an injury, visible or not. Or even an infection. It’s best to take your dog in for a check up to find the cause of his pain. Chewy after his vet appointment, with his heating pack and supper. Our most recent incident happened to Chewy, who hurt his back sliding off of the porch sideways. He was trying to devil with his brothers. He laid in his crate the rest of the day. The next morning when I reached in, he growled and snapped at me. He went to the vet that afternoon. The next day, he was a happy smiling dog again. Although, he hasn’t tried to devil with his brothers on the porch again. He waits until they’ve reached the ground before jumping them now. I think all three of the forget they are aging. Hmm, just like humans. Training devices that cause pain can cause dogs to exhibit this type of aggression also. Prong collars, choke chains and electric shock collars are often the cause of pain-induced aggression. Painful arthritis can cause a dog to get cranky and aggressive, especially in the colder weather. Toothaches can cause pain and aggression. 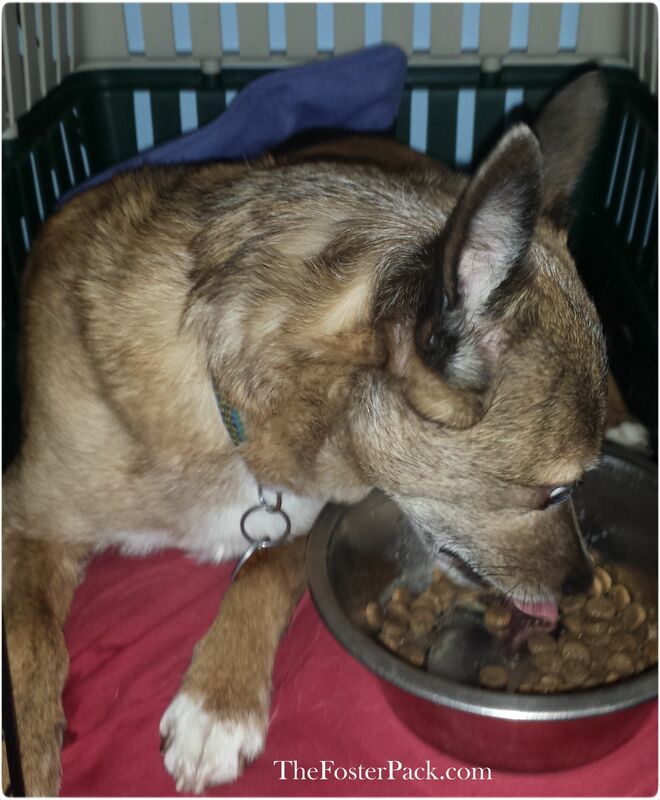 If your dog refuses food, treats and toys, he may have a toothache, broken tooth or infection in his mouth. Lots of other medical issues can cause aggression. Learn more about them here.